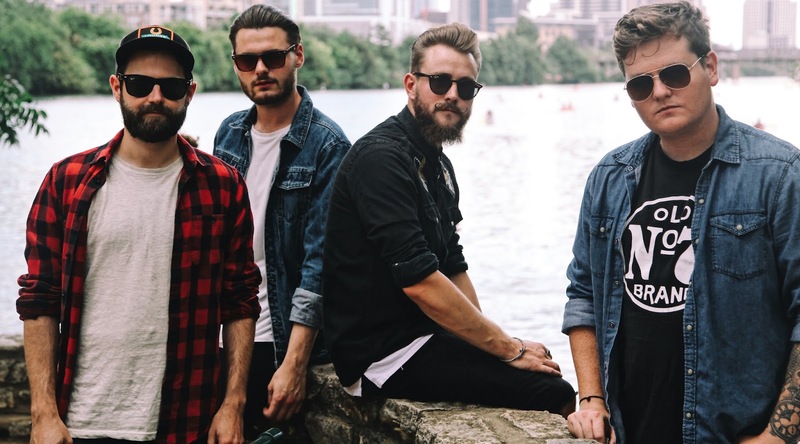 Following a busy end to 2017, Broken Witt Rebels return to live action in March with a run of UK / European dates guesting with Texas outfit Blue October; these dates will see the Rebels visiting the Netherlands and Germany (where they recently played with ‘country fuzz’ maestros The Cadillac Three) before hitting UK turf for a run of eight shows, including a night at the O2 Shepherd’s Bush Empire in London. In addition, Broken Witt Rebels – that’s Danny Core (vocals / rhythm guitar), Luke Davis (vocals / bass), James Tranter (vocals / lead guitar) and James Dudley (drums) – will play three headline shows of their own in the UK and Scotland. In support of this announcement, the Birmingham quartet – a heady blend of blues, soul, wailing rock guitar and deeply emotive vocals – are set to release a coloured vinyl version of their debut self-titled album on March 9th via Snakefarm Records. CD & Digital versions of the record are available now.